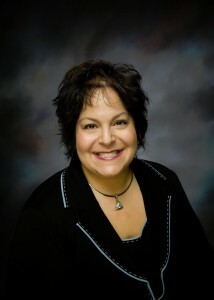 Cathy Rottle was born in Aberdeen, Washington to Lebanese parents. Her mother moved to America in 1963 and married her father, who was already here, a year later. They were both retailers, each with their own clothing store in Montesano, Washington, but Cathy’s mom still made time to cook for the family nightly. Cathy grew up in Washington, and got her degree in business and psychology at University of Washington. She didn’t know what she wanted to do with her life until her good friend Dirk suggested she get into the insurance business. Cathy followed his advice and worked for Blue Cross/Blue Shield for seven years, then a tech company for a year. Dirk never stopped trying to recruit her to work at his company (the Fournier Group) and after the third attempt, she finally gave in and has been working for him for nine years. Cathy moved to Portland 8 years ago, and now heads up their personal insurance department managing the staff, customer service and sales. While Cathy is single with no children, she is a godmother to Dirk’s two seven-year-old sons and takes her job very seriously! As she tells us, those two boys are the “loves of her life” and she happily spends time with them whenever she can. She also loves to cook for them, though they prefer chicken nuggets to stuffed grape leaves. Cathy learned how to cook at her mother’s side. She loved to help her chop, dice and do whatever else she wanted, but rarely got a chance to do the actual cooking. She was only allowed to watch as her mother threw in this and that, marveling how she knew exactly how much of everything to put in without ever using a recipe. Unfortunately, this makes it hard for Cathy to replicate her mother’s masterpieces and she still finds herself calling her mom (now in Texas) to get some idea of ingredients and quantities for certain dishes she wants to make. Since we couldn’t call her mom every other minute, Dirk’s copy of Cathy’s favorite Lebanese cookbook sure came in handy as we recreated some of her specialties!